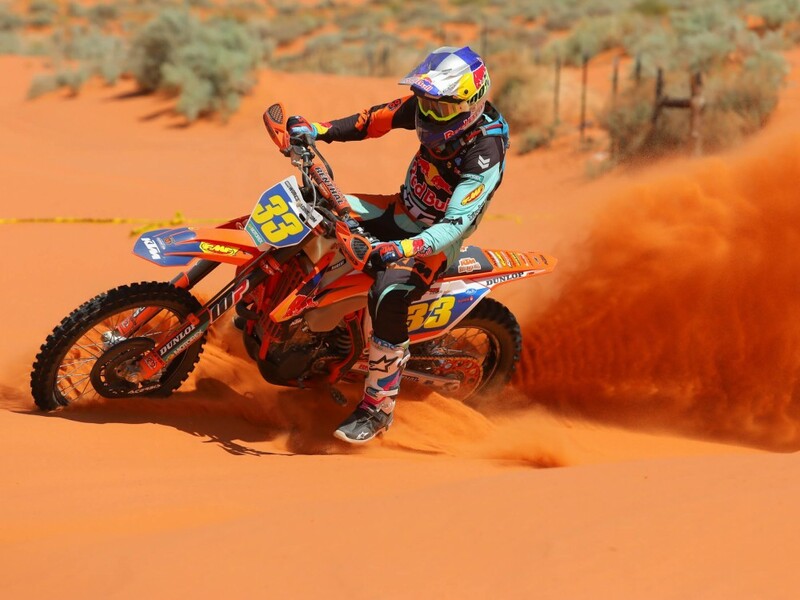 2018 Sand Hollow WORCS Results – Taylor Robert came away with the overall win at the Sand Hollow round of the 2018 WORCS Championship in Hurricane, Utah, April 29. Strong winds and an ever-changing racecourse resulted in this race being one of attrition. Robert made things even a little harder on himself after he and points leader Giacomo Redondi went down in the first turn. Robert (FMF KTM) brushed himself off, got back on his bike, and set sail after the pack. He reeled everyone in by the second lap and then pulled away for the impressive victory. Redondi (Red Bull KTM) did nearly as well by working his way up to second at the finish and maintaining his championship points lead. The Italian got into second on the fourth of what would be a nine-lap race and ended up taking the checkered flag 38 seconds behind Robert. Third in the race went to defending champion Gary Sutherlin (Suzuki). He held third the whole way while overcoming a few mechanical bugs along the way. Justin Wallis (Yamaha) nabbed fourth, Travis Damon (Honda) fifth and Dante Oliveira (KTM) sixth. Some of those who started the race but didn’t complete all nine laps, included first-lap leader Zach Bell, Ricky Dietrich and Justin Seeds. In the Pro 2 class, Austin Serpa (KTM) hung out in third, and fourth for a bit, for much of the race before turning it up and passing Clayton Hengeveld (Kawasaki) for the lead late in the race. Hengeveld took second, followed by Mitch Anderson (KTM). Cooper Abbott (KTM) led for the first half of the race before slipping back to fourth. Matt Maple completed the top five. Collin Elliott (Yamaha) led it from start to finish in the Pro 2 Lites class and took the checkered flag with plenty of breathing room over runner-up Spenser Wilton (KTM). 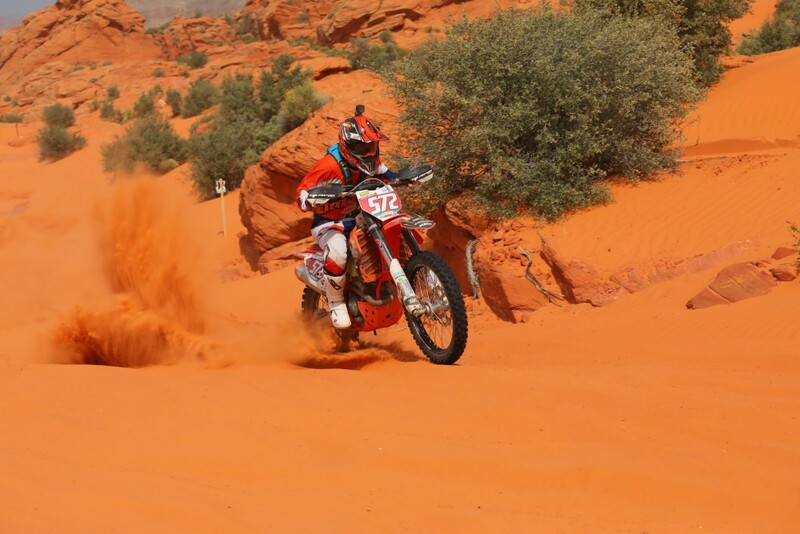 Wilton also had a comfortable lead at the finish over third place Dallas Serpa (KTM). Damon Bush (Yamaha) and Tyler Nicholson (KTM) rounded out the top five. Brandy Richards (KTM) cruised to victory in the Women Pro class. Britney Gallegos (KTM) and Lauren Woods (KTM) went 2-3. After four rounds, Redondi controls the top of the leaderboard with 87 points, followed by Sutherlin with 78 and Bell with 56. Robert, who missed two rounds with an injury, is sixth with 50 points. Click here for more off-road news and results.